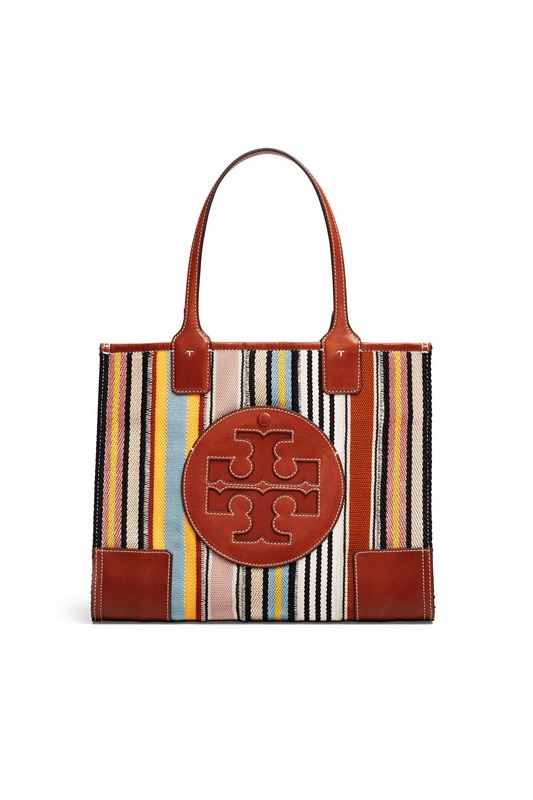 Lightweight canvas updates this signature Tory Burch tote that's roomy enough for busy work days and weekends. Also available in Stud, Navy Nylon, Green Nylon, Colorblock Nylon, Floral Nylon, and Printed. 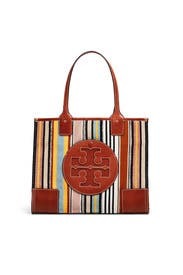 Multicolored webbing patchwork tote with leather center logo and straps. Two gusset snaps and open top. 1 interior slit pocket and 1 zipper pocket. Tubular handles with a 7.17" drop. 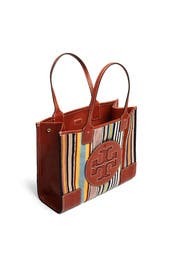 17.2"L x 13.15"H x 5.18"D.
Wore it with a Jean dress and it set it off!